In the last few months, many businesses have experienced issues sending out company emails and newsletters to their customers. There have been many complaints of customers not receiving these emails, even though they may not have experienced this particular issue before. So, what happened? 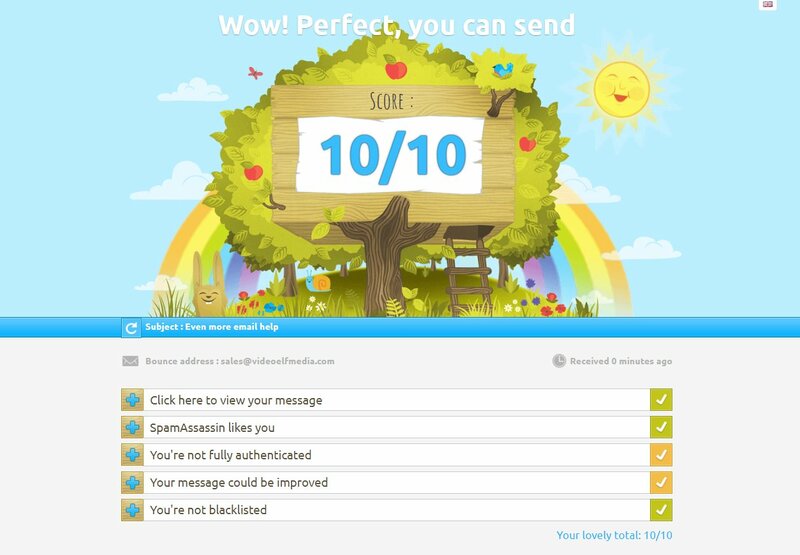 WebMail providers use 'email scores' to rate emails on a scale of 1-10 due to a variety of factors. If you receive below a 5-point rating, there is a high chance that your email will be 'spammed out' and never make it out to your customers email box. Recently, WebMail providers have raised their standards on the email score system to reduce spam emails, which is why more and more businesses are experiencing issues with sending out emails. Why are your emails being marked as spam? You purchased your email list from a third party and/or use cold emailing practices - WebMail providers give poor email scores to individuals who do not build their email lists organically. It is against the "CAN-SPAM Act" to add users to your company email list without having them subscribe to you first. Additionally, users should be given the chance to opt-out if they are no longer interested in receiving your emails. It is the best practice to request permission from potential clients before putting them on your email list. People are not opening your emails and/or flagging your content as spam - If customers have subscribed to your company newsletter and are still responding poorly, you may want to reconsider the quality of the email you are sending out to your customers. Keep your emails straightforward and on-brand so that clients will remember who you are and what your company is all about. In order to increase open rates, you should consider the time of day, using quality captions and appealing to your target audience. You are using a poorly-coded HTML email template - Companies should use email templates that are clean, simple and user-friendly. Most email providers accept templates that range from 600-800 pixels. Additionally, consider using standard fonts like Arial and Times New Roman, as well as using images that have been compressed and optimized for emails. It is important to note that you should only incorporate a few images if possible because having lots of images can negatively affect your email score. You are using spam trigger words - WebMail providers are constantly on the lookout for trigger words that are commonly found in spam emails. If possible, avoid using these words and phrases: 'click here', 'congratulations', 'dear friend', 'for only ($)', 'this is not spam', 'special promotion', etc. Use Mail Tester as a tool to test and improve your email practices, which can help ensure customers will always be receiving your emails. 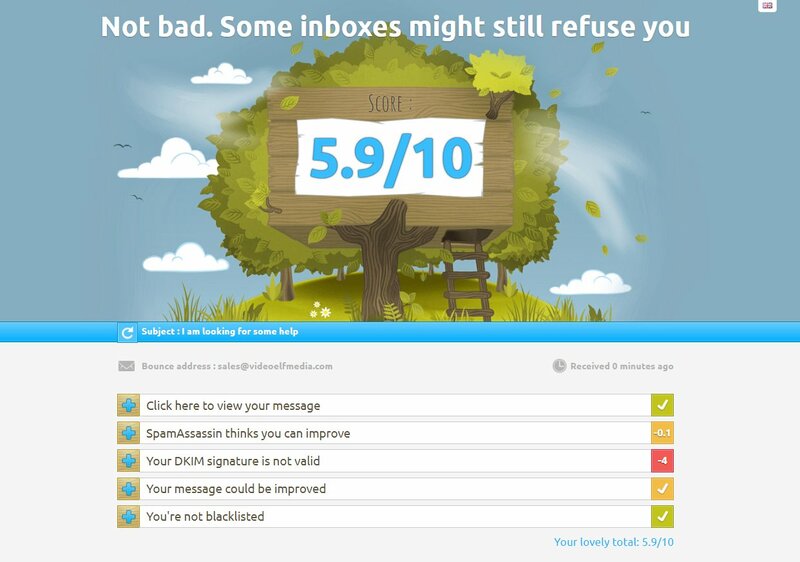 Here is a simple example of us trying to improve your email score using Mail-Tester.com. We followed the advise from Mail-Tester.com and made some changes to the SPF and DKIM records and now our score has improved. 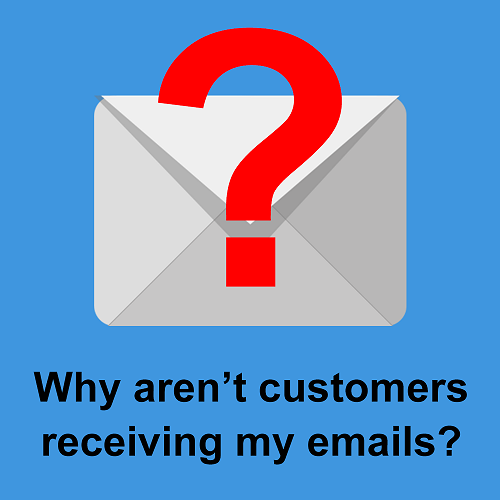 Why are my customers not receiving my emails? | Computer Geek 5 out of 5 based on 103 user ratings. Why are my customers not receiving my emails? - In the last few months, many businesses have experienced issues sending out company emails and newsletters . . .